First Monaco motor home, the LaPalma, built on the rear gas engine Workhorse UFO�Ѣ chassis. PERRY, Ga Mar15//2007. 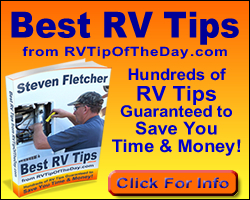 ����� RVers can start signing up now for test drive opportunities with the two most recent motor home models built on the new Workhorse UFO�Ѣ chassis. Those opportunities are next week at FMCA���s International ���Georgia Jubilee��� Convention in Perry, Ga., March 20 to 22. Winnebago Industries will be offering test drives on its new Itasca Latitude built on the Workhorse UFO�Ѣ, while Workhorse will be providing test drives on the new Monaco LaPalma on the Workhorse UFO�Ѣ. Both are rear gas-powered units. Those interested should head for the Winnebago (No. 1812) and Workhorse (No. 1230) booths to sign up. However, convention-goers can also sign up online right now for the Workhorse/LaPalma test drive by going to go to www.workhorse.com/driveaufo/perry. ���The handling through the turns was unbelievable, no body lean whatsoever. The quietness of having the engine in the back was great.��� Ronald ��� Jim Thorpe, Pa.
���Handled just like my SUV�ĶSurpassed my expectations �Ķ.You���ve got a winner.��� Sean ����� St. John���s, Fla.
���Very Impressed�ĶQuick brakes, smooth ride.��� Robert ��� Vero Beach, Fla.
���Our engineers��� goal was to make a Class A chassis that would be more comfortable for anyone to drive ��� very stable without sacrificing ride quality. Judging from the feedback thus far, it looks like they���ve done that,��� said Walmsley. Both Monaco and Winnebago are gearing up their production lines for the Workhorse UFO�Ѣ and are presently taking orders for models built on the new chassis. Other models include Monaco���s Holiday Rambler Vacationer and the Winnebago Destination. Forest River will also be present at the convention with its Georgetown model on the Workhorse UFO�Ѣ, which has been for sale on dealer lots since December. All of the initial motor home offerings on the Workhorse UFO�Ѣ are the unique rear-gas engine models, although the platform also offers a diesel engine choice. Several models take advantage of the flat floor enabled by the new chassis by providing additional seating in the rear bedroom. Workhorse Custom Chassis is ISO 9001 certified and a leader in the manufacture of chassis for motor homes, walk-in trucks and buses. It is a wholly owned subsidiary of International Truck and Engine Corporation. For additional information call 877-294-6773 or visit www.workhorse.com. International Truck and Engine Corporation is the operating company of Navistar International Corporation (NYSE: NAV). In addition to Workhorse brand chassis, the company produces International�� brand commercial trucks, mid-range diesel engines and IC brand school buses, and is a private label designer and manufacturer of diesel engines for the pickup truck, van and SUV markets. A wholly owned subsidiary offers financing services. Additional information is available at: www.internationaldelivers.com <http://www.nav-international.com> .